These caddies have become essential accessories as people upgrade computers on a regular basis. The new pc usually comes with a new internal hard drive, but it would be a waste to scrap your previous one along with the old tower. So the solution is to extract your old drive and slip it into a case like this one, which allows you to turn any 3.5” internal SATA hard drive into a portable external drive for just the cost of the enclosure. 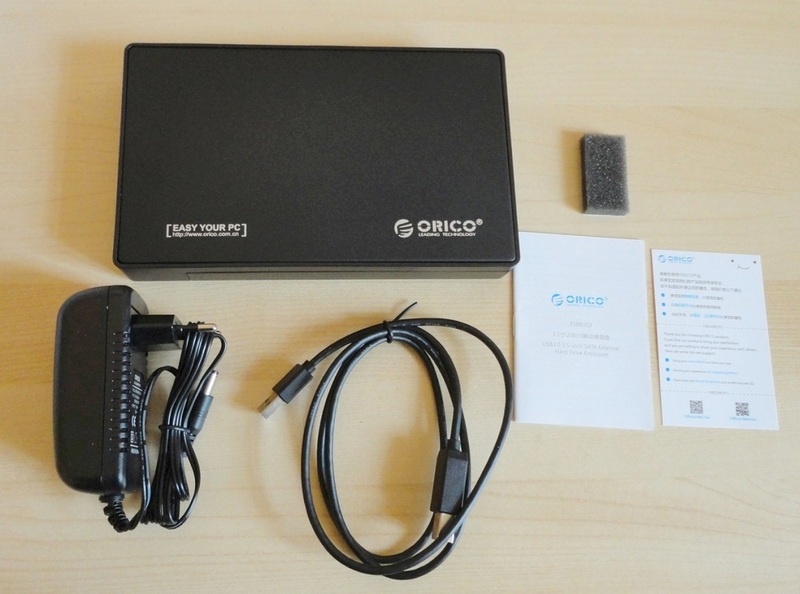 This gives you additional storage for backups, and it is also invaluable to retrieve data in case of computer failure.Included in the package was the drive enclosure, a USB cable (1 m long), a power cord (1.5 m) with 12V adapter for direct connection to a wall outlet, a foam pad if needed to stabilize the drive, and a manual in English. The manual could be better, both in content and presentation. The writing is tiny and I had to scan and enlarge each page, but it does contain adequate instructions in approximate English. However, if you've used one before, installation is intuitive. Just remember to do the safe-remove when you want to disconnect it. This is one of the easiest models I have come across. No tools are needed. The plastic casing opens by sliding the bottom sideways, you then align the contacts and push the drive home. For thinner drives you can use the foam provided (I did not use it). 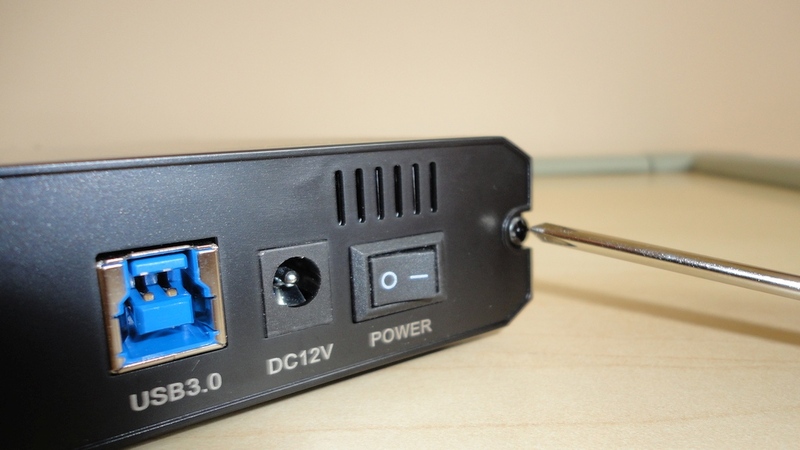 You then close it back up, connect the enclosure to your new pc (or laptop) with the supplied cables and switch on. A LED light flashes red and when it turns steady blue, you are ready to access your new external drive in the usual way. The top of the drive (with the brand name and logo) is made of metal to disperse heat more efficiently. If you have a USB 3.0 port (blue), you can take advantage of its fastest speed, but it is also retro-compatible to older standards. My pc does not have 3.0 ports available, so the read-write speeds I'm getting are adequate but not ground-breaking. However, used with the laptop's 3.0 port, everything gets much faster. I have used this caddy to back up 770 GB of data onto a WD Blue hard drive in preparation for upgrading to Win 10. It made the whole thing much less traumatic and now I have a very useful 1 TB external drive where I store my weekly backups. Heat dissipation is very good, although the drive does feel warm but comparable to similar products. So far the product is performing impeccably. 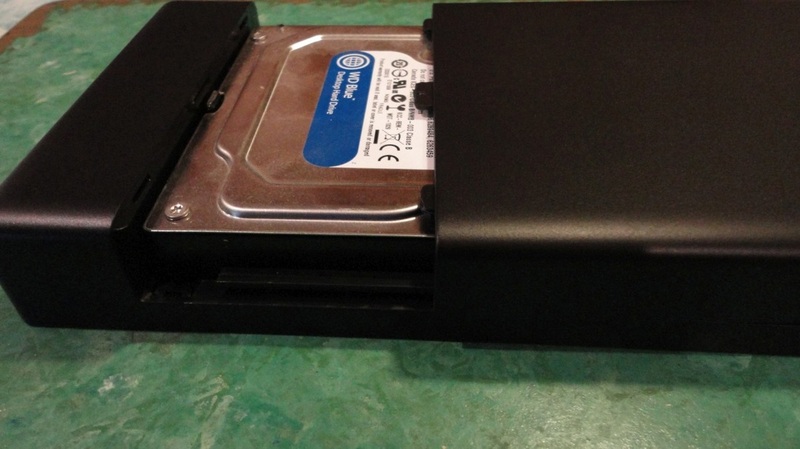 I was recently asked to test and review what is currently the latest Inateck hard drive enclosure - Model FE2006. These cases essentially turn any 2.5” internal hard drive into a portable one. What is new about this model is the UASP support, which theoretically means blazing speeds up to 5GBps. In practice, operating speed will depend on your set-up and attached device, but the specs are certainly impressive. It also comes with a fast USB state-of-the-art 3.0 interface. I have a very old laptop, ripe for scrapping, so I was happy to receive this neat caddy which has saved me the chore of wiping the old drive clean (and perhaps physically damaging it, to ensure safe disposal). Instead, I have acquired a useful removable hard drive. 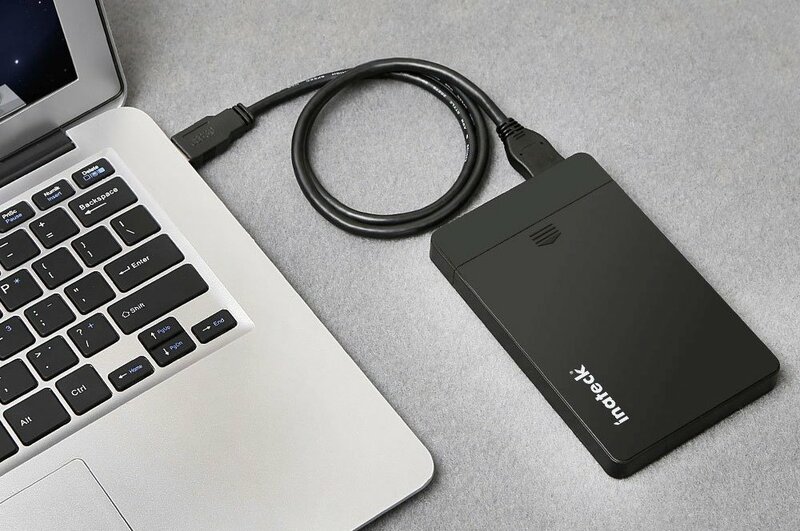 Whether you decide to reformat and use the space as backup storage, or retain the drive's structure and applications, having this direct, super-easy connection to a portable hard drive is definitely a bonus. The caddy is a lightweight, hard plastic case with a USB port, a small blue LED light indicating activity, and a 5V power input (although when connected via USB, no additional power is needed). Also in the box are a supple and sturdy USB cable (with a standard USB 3.0 connector at one end and a 3.0 Micro B at the other) and an optional foam cushion to stabilize drives thinner than 9.5 mm. No instructions are included, as installation is really simple: the top of the shell slides open in the direction of the arrow etched on the lid. You place your hard drive inside, aligning the connectors, slide the top closed and connect the FE2006 to your computer via the supplied USB cable. Sliding the lid off takes just the right amount of downward pressure but, with gentle handling, this should not be an issue. No tools necessary, no drivers and the USB 3.0 procol is backward compatible with older USB standards. In fact, the hardest part for me was to find a suitable Torx screwdriver to open my old laptop and remove the hard drive. In action, this drive delivers amazing speeds for both read and write operations, and I have noticed without surprise that it performs much better with my late-model laptop running Win 8.1 than my older pc under Vista. It is designed to go into sleep mode after being idle for 30 minutes but can be restarted by accessing it. This product is receiving excellent reviews from all the “techie” sites and, in my opinion, the high praise is well deserved. I received a sample to allow me to test and review this brilliant new hard drive enclosure. 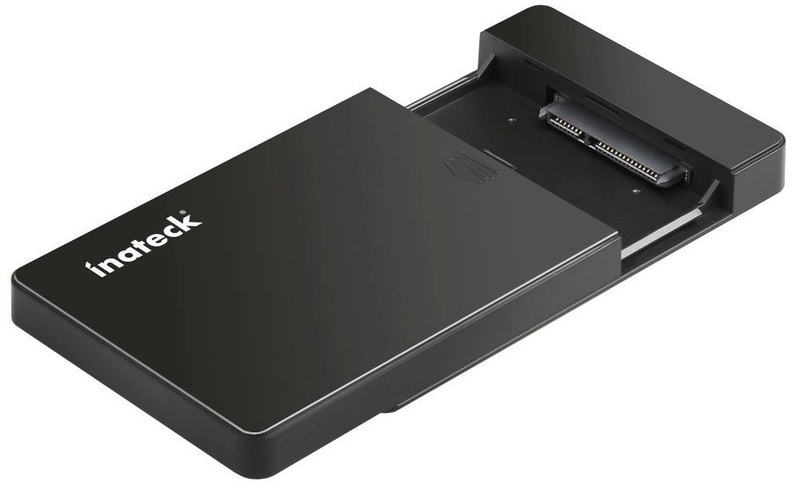 These cases essentially turn any 3.5” (and also 2.5” in this case) internal SATA hard drive into a portable external drive, and are invaluable to retrieve data in case of computer failure. What is different about this model is the aluminium alloy skin, which makes the enclosure a bit heavier than the usual plastic ones, but takes full advantage of the metal's heat dissipating properties. As a state-of-the-art product, there is UASP support, providing blazing top speeds of up to 6GBps. In practice, operating speed will depend on your set-up and attached device, but the specs are certainly impressive. It also comes with a fast USB 3.0 interface, retro-compatible to older standards. My old pc has now been superseded by a brand new tower, so this caddy arrived at a perfect time, saving me the chore of wiping the old drive clean before safe disposal. Instead, I have acquired a really useful removable hard drive for backup storage. The caddy is a solidly-built aluminium alloy case with a USB 3.0 Micro B port, power input and two small LED lights (blue for activity and green to confirm power). Also in the box are a very capable-looking USB cable (1 metre long), a 12V adapter for direct connection to a wall outlet, a small screwdriver, screws and foam pads to stabilize the drive, and a very clear manual in English and German. 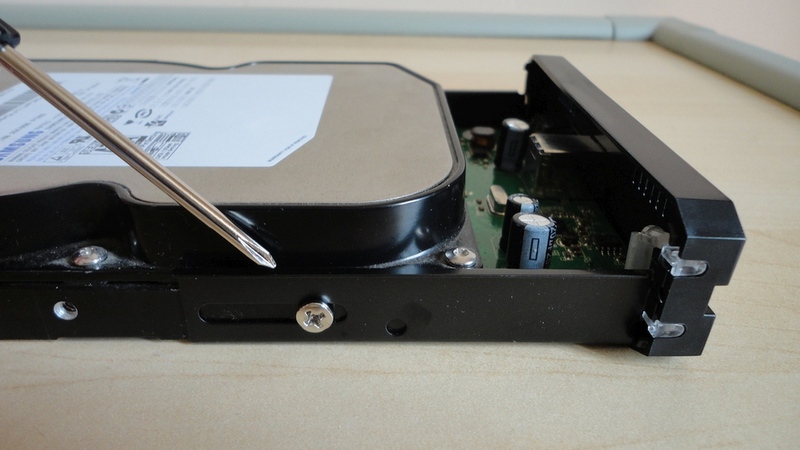 Installation is really simple: open the shell, place your hard drive inside, aligning the connectors, secure laterally with the screws (the same way as when mounting a hard drive inside a tower), slide the whole thing closed and secure the side with two screws. You then plug the adapter into a convenient outlet, connect the FE3001 to your computer via the supplied USB cable and turn it on. 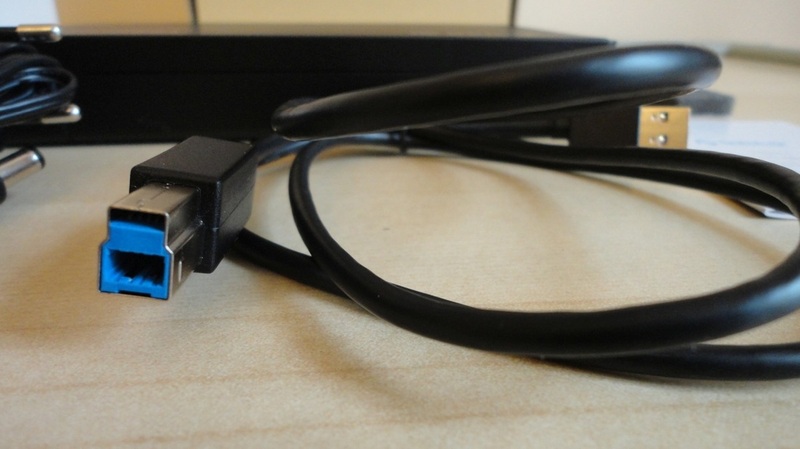 USB 3.0 protocol is backward compatible with older USB standards. Everything about this caddy is geared towards flexibility and compatibility. In action, this drive case delivers impressive speeds for both read and write operations, and as I would have expected, it performs much better with my new tower than my year-old laptop (both running Win 8.1). 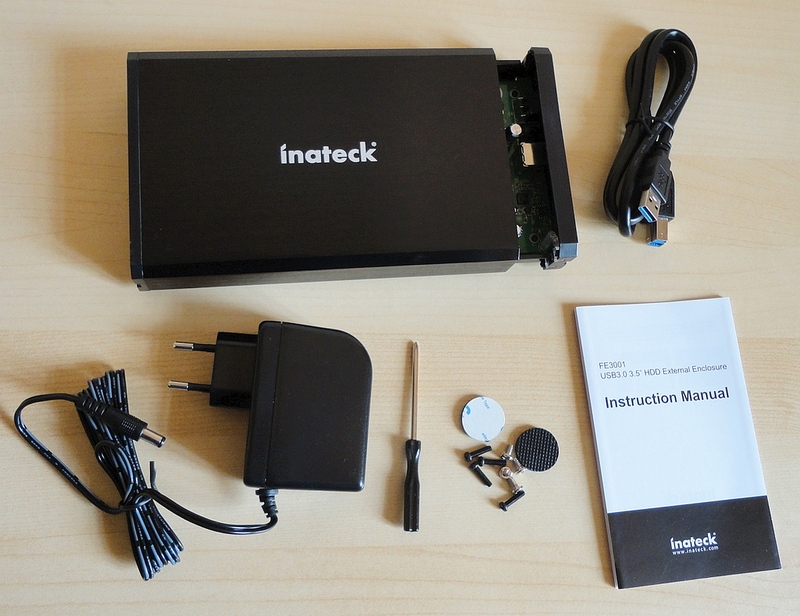 I have tested other Inateck products and, without exception, they are reliable and well engineered. This top quality piece of kit will be in constant use now as a backup removable drive.